NDTV, the leading news channel were here to visit Aadhar to make a special story on the children. The NDTV crew spent a lot of time with the children here. The crew were keenly interested in interviewing the children who were HIV+. Nagrathna Ramgouda, a development officer who is HIV+ for the past 15 years spoke her mind out openly and told the crew about how the people treat HIV+ people. 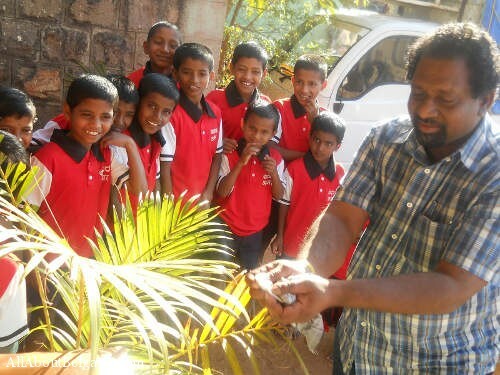 Mr.David, head Center for advocacy and research did some magic tricks to woo the children and the children were amazed at the tricks. 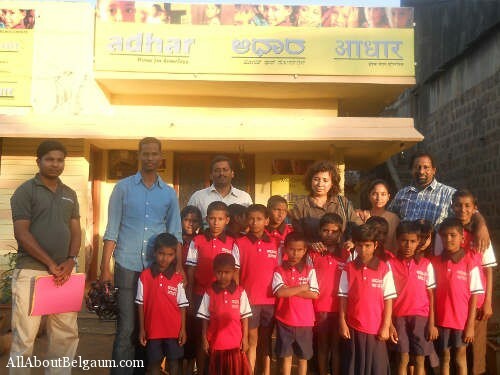 NDTV reporter Shai Venkatraman praised the manner in which the kids at Aadhar were kept and she said that the kids were very talented and the work of Mahesh Foundation is very admiring and the youth should follow the footsteps of Mahesh Foundation and give back to the society. Let us know when this will be telecasted. I have never seen aadhar and the kids there, so I am waiting to see the heroes on TV. when this will be telecasted ????????????????????? great news for aadhar !!!!! tomorrow BBC also coming because aadhar doing great work. today aadhar again prove it.